The opulence exuded by this flawlessly crafted three stone ring entices your gaze instantly. The 14k white gold metal perfectly complements the luster of lab grown diamonds that are partially encrusted on the split shank. 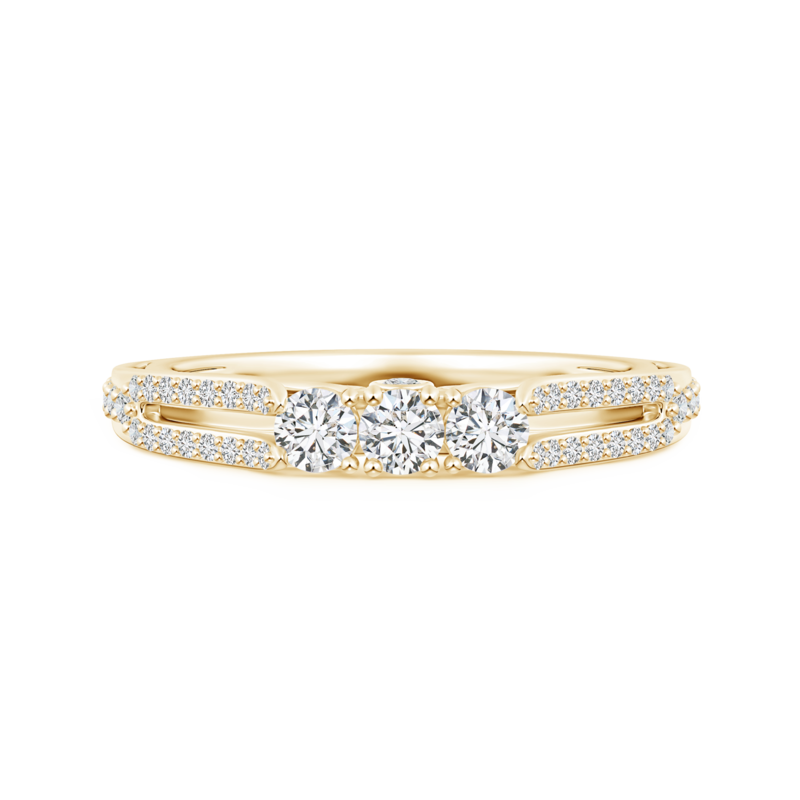 They all lead your vision to the three gorgeous lab grown diamonds, prong set in the center and symbolizing the past, present and future. The bezel set diamond on the gallery, along with the filigree detailing further uplift the charm of this gorgeous ring. For those who prefer timeless style, there's never a dearth of classic jewelry. Many collections of this particular style have been influenced by pivotal fashion eras, such as the Art Noveau jewelry of the early 1890's and the Edwardian jewelry of the 1900's. Classic jewelry usually features a variety of designs, including elegant and intricate ones. The enduring quality and the hint of prestige that radiates from this jewelry style is hard to miss. If youre a lover of all things classic, this product will be the perfect addition to your jewelry box.